You know who I’m talking about, right? 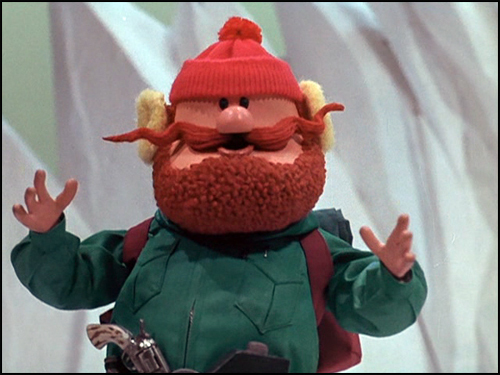 The mustachioed miner from the Rankin & Bass claymation Rudolph the Red Nosed Reindeer from the mid-60s. He’s a bit rough around the edges but helps Rudolph, ends up on the Island of Misfit Toys, and finally helps save the day in the end. The thing I keep coming back to is the way he tosses his pick into the snow and ice, pulls it out, and tastes it, declaring, “Nothing!” It would appear that he’s searching for silver and gold (his antics inspire the song of the same name), but in the fully restored version we find out he’s actually searching for peppermint. I’ve done free books, both e-book and paperback. Lots of people are interested in the paperbacks, and lots of people have downloaded on my free Kindle days, but does it translate into later sales? Nothing. I’ve paid for advertisement. And when I check my sales for the day the ads have run? Nothing. Links to my books can be found on the pages of The Colored Lens, where I’ve had a short story published. Anyone who reads a story on the site sees images of my books. Nothing. I’ve solicited reviews from book bloggers. Some have agreed to read and review, and one so far has come through with a super review. How much in sales has it led to? Nothing. I post on this blog pretty regularly, hoping people will read and click through on my book links. I know of one sale that has come through that way, and I’m grateful for it. It’s not Nothing, but not exactly pushing that sales rank up either. It’s nothing new. For years (before the e-book revolution began) I tried other things to break into the business–querying agents and publishers through the U.S. mail (how archaic!) and those SASEs would come back with . . . Nothing! But am I bitter? Well, sometimes. But, like Yukon Cornelius I keep throwing that pick axe into the air and having a look at where it comes down. Persistence, I’ve been told, is what ultimately sets the successful writer apart from the failure. And Yukon is a great model for persistence. I’m not deceiving myself into thinking the pick is going to strike silver or gold. I’m not looking to make a million bucks off my books, just looking to get readers–along with the countless other people who are competing for the same readers, just as I was competing for agents and competing for publishers before going the indie route. 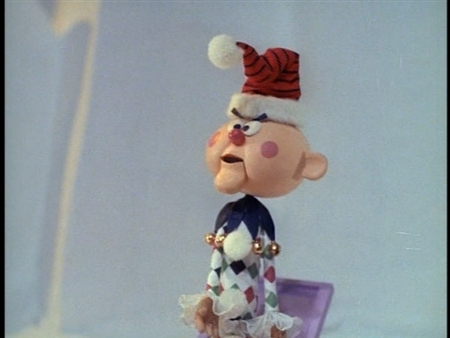 Hip though it may seem in some circles, maybe being an indie author is still a bit like being on the Island of Misfit Toys. The number of people who want a Jack in the Box versus a Charlie in the Box must be in direct proportion to the number of people who’d rather read Twilight than Take Back Tomorrow. And yet I can’t help but think that those few are out there. Because whenever I do bump up against one of them here on the Island, they tell me how much they’ve enjoyed what I’ve written. And that’s not Nothing. That’s what keeps me going. That’s why I’m writing the next book. That’s why I keep pulling the axe out of the ice to see what’s there. It’s not so bad, and compared to the old days, before print-on-demand and Kindle, this is pretty incredible. One of these days, though, that pick axe is going to strike peppermint. And in the meantime, like Yukon, I’ll be on the path with friends, the ones who read my books and the ones who offer kind words and support as I make my way. Not so bad, I’d say. Next Post Captain Kitty, Where Have You Been?